This meeting in Höllviken, the XIIth meeting since the first meeting of our group in 1995 in Poland, was very well organised by Leif Nilsson. It was great to see 98 members and interested persons (from 19 different countries) gathered together in Höllviken, Sweden during a meeting at a very well chosen venue (Well done, Leif!). It was gratifying to see the lively discussions, and strengthening of contacts between researchers that often work together in remote arctic places. Our special guests from China and North America were impressed by the special open and friendly atmosphere during this meeting.The meeting was a very lively one that gave rise to a board that energetically will support our activities in the future in a much more ambitious way. The 8 members of this new board are Tony Fox, Thomas Heinicke, Konstantin Litvin, Jesper Madsen, Johan Mooij, Ingunn Tombre, Berend Voslamber and Bart Ebbinge (chairman). One of the decisions was to revive the GOOSE BULLETIN and an editorial board consisting of Johan Mooij (editor-in-chief), Fred Cottaar, Tony Fox & Berend Voslamber is already working hard on the coming issue which will be mailed to all members soon. I wish the new Editorial Board of the Goose Bulletin all the energy it takes to keep this Goose Bulletin alive as a platform of information exchange for goose researchers and those interested in goose management. In the new GSG-board we still have to discuss “who will do what”, and as soon as this will become more clear, we will inform you through this website and the GOOSE BULLETIN , so that every member knows which person to contact for specific questions. 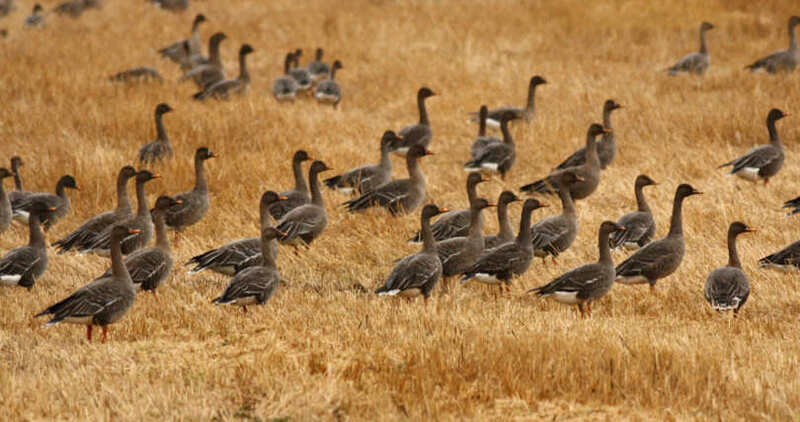 A more elaborate report about the meeting will soon appear in the new Bulletin that will be mailed to all members of the Goose Specialist Group, and will appear on this website. Ingunn Tombre has accepted the task to bring our membership list up-to-date. Our membership is for free and open to anyone, and if you would like to join, please register with Ingunn Tombre. After the conference during a three-day excursion by bus to the more important goose-sites in south Sweden (Tåkern, Kvismaren, Östen, Hornborgasjön and Getterön) Leif and Christina Nilsson showed us impressive flocks of Taiga Bean Geese (Anser fabalis fabalis). The special homepage (http://www.zoo.ekol.lu.se/waterfowl/GSG.htm for the 2009 GSG-meeting will remain open to collate all papers for the final proceedings of this conference in Ornis svecica with all information about the conference. 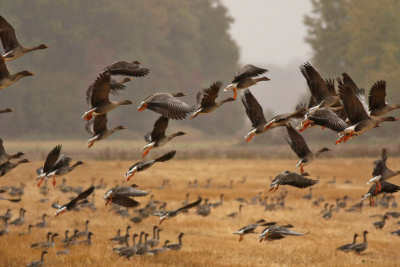 Report by Bart Ebbinge (Alterra, Wageningen (NL), Chairman of the Goose Specialist Group.